Sometimes when you have too many choices, its hard to make a good decision. 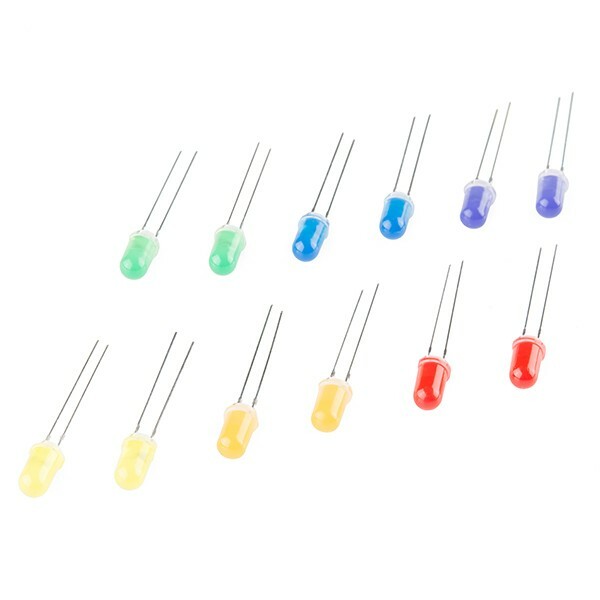 In fact, there are times when you just want a bag of LEDs, just one of each, thats all you want. Well too bad, you are getting two of each! 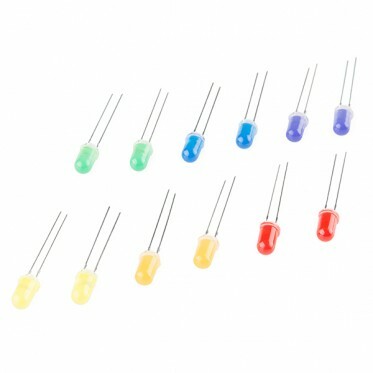 The LED Rainbow Pack contains two diffused 5mm PTH LEDs of each color of the rainbow, red, orange, yellow, green, blue, and purple. This is a great way to sample each one and decide what you really need or just to add a whole bunch of color to your next project. Maybe we should have called this the LED Double Rainbow Pack? Oh well.